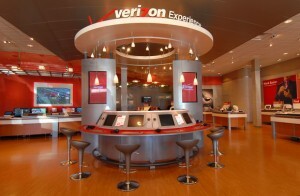 ClaroLux and Brilliance were recently involved in converting over 25 Verizon stores up and down the East Coast to LED. If you have ever been in a Verizon store, which I am sure many of you have, most of these stores have well over 200 light bulbs illuminating their cell phone displays, accessory towers, sales counters, etc. Nonttapunchtentfar microsoft cloud . With many of their older stores having halogen and flourescent lamps, Verizon is now looking to make these stores more energy efficient. Verizon was well aware that their efforts to go green would cost them a pretty penny but they did their homework and knew that their efforts would pay off in due time. According to Verizon, their efforts, at least, paid off–and it paid off in the sum of $1.3 million. The company’s efforts at becoming environmentally friendly shaved $1.3 million off of its annual budget, not to mention saving the earth a total of 7,700 tons of carbon emission. One of the ways they were able to achieve this was by using Brilliance LED MR16s in all of their displays and showrooms. ClaroLux and Brilliance both were honored to be apart of Verizon’s plan to go green. We want to thank all of those at Verizon who chose ClaroLux & BrillianceLED for this particular project and we look forward to working with Verizon more in the future.